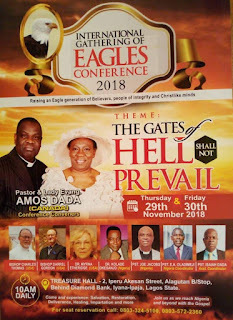 The Superintendent of Christ Apostolic Church, Amuwo Odofin Districts Coordinating Council (DCC), Pastor Joe Jacobs is among the anointed men of God that will minister at the Nigeria version of International Gathering of Eagles conference which holds between today Thursday 29 and tomorrow Friday 30, November, 2018.
International Gathering of Eagles conference is an initiative of Pastor Amos Dada who is the District Superintendent and Pastor-in-charge of Christ Apostolic Church Bethel Toronto and Director of Mission, CAC Bethel District of North America. 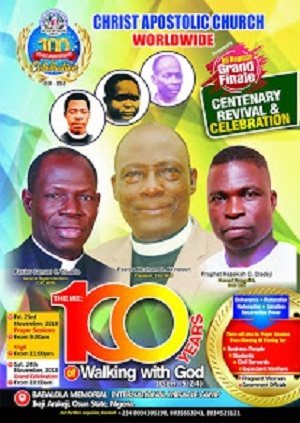 The spiritual feast holds on yearly basis in Canada, India, Ghana, Cote D'ivoire and Nigeria among others. 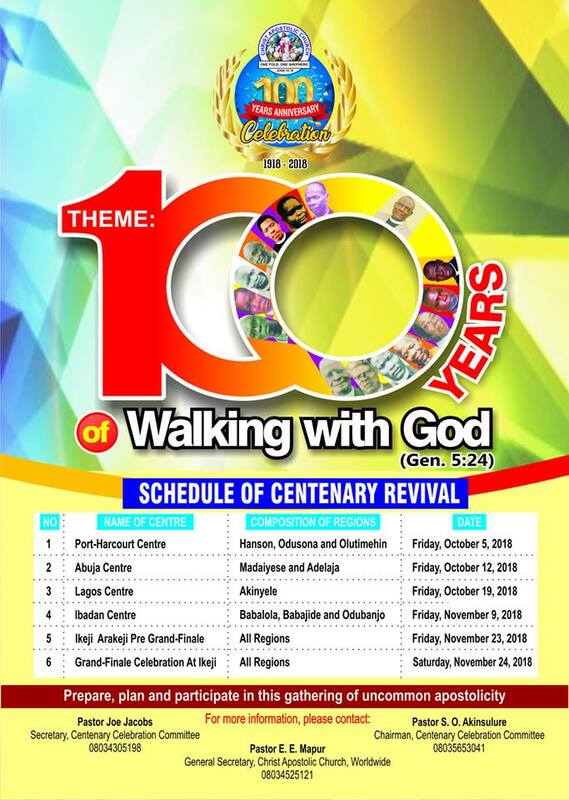 The theme of the conference is "The Gates of Hell Shall Not Prevail." 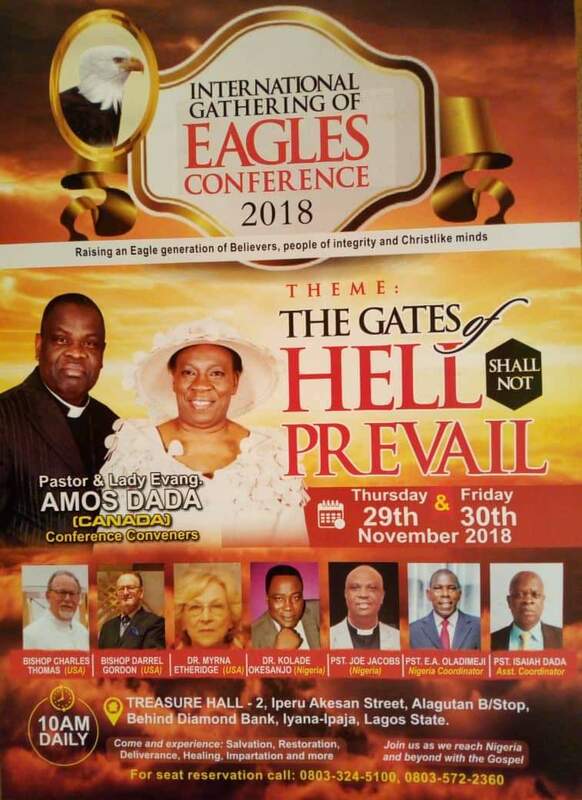 While speaking about the conference in an exclusive interview with CAC NEWS, Pastor Amos Dada said that the main aim of the conference is to raise an eagle generation and put Nigeria on the spiritual map of the world. “Our objective is to ' repair the body of Christ with the word' by raising a brand new set of Christians in the world who will give God pleasure according to John in Rev 4:11 "Thou art worthy, O Lord, to receive glory and honour and power: for thou hast created all things, and for thy pleasure they are and were created." We are confident that by his grace we shall do what he had called us to do and we shall leave the result to him,” he said. He said that they are believing God that lives will be touched, miracles will happen and healing will take place.